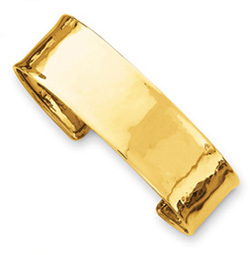 The Italian-made 14k solid gold polished plain cuff bangle bracelet, from Apples of Gold Jewelry, measures 3/4" wide (19mm) and weighs approx. 16.2 grams of 14k solid gold! 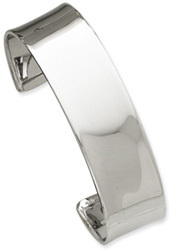 Made in Italy, renowned for the height of jewelry fashion and quality. 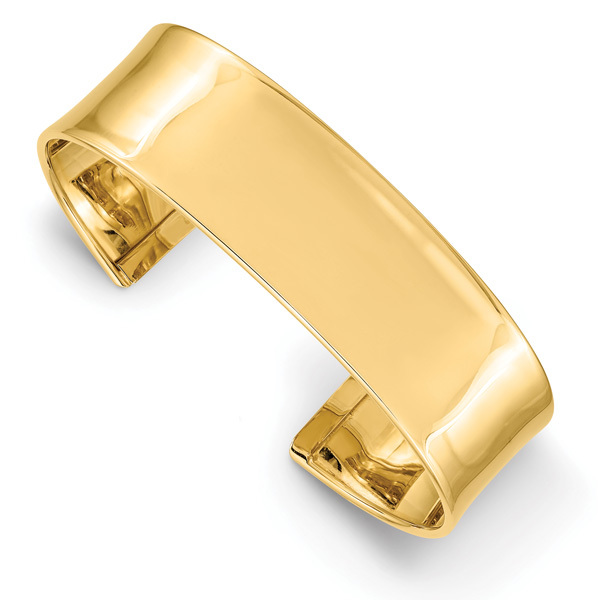 We guarantee our Italian 14K Gold Polished Plain Bangle Cuff Bracelet to be high quality, authentic jewelry, as described above.